Juniper. Evergreen shrubs and trees. all Zones. Coniferous plants with fleshy berry like cones. Foliage is needlelike, scalelike or both. 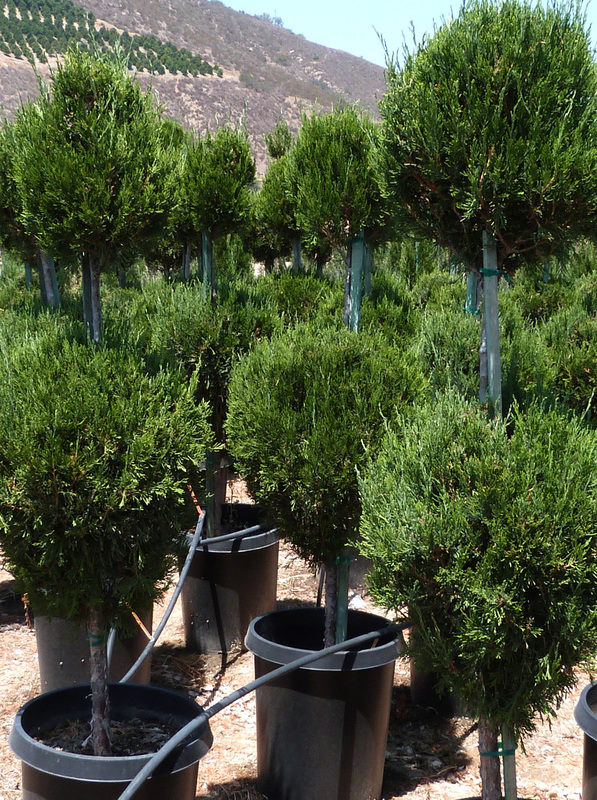 Junipers are the most widely used woody plants in the west. Rich green, dense column. Grows to 20 ft.